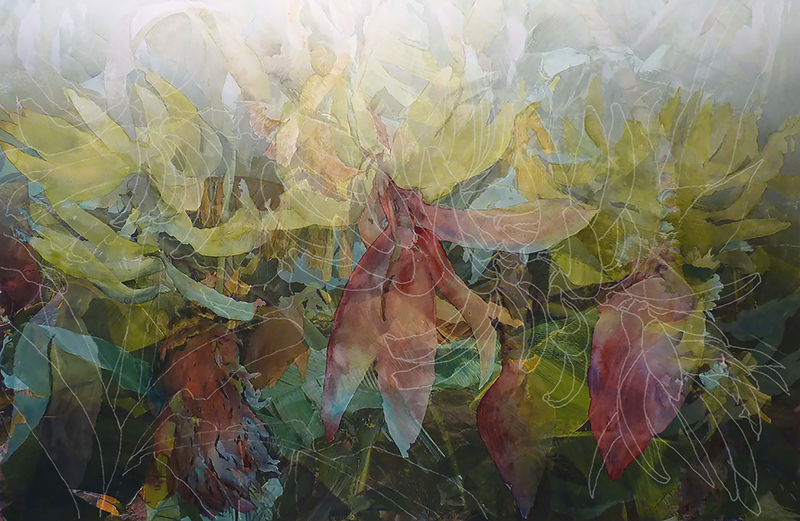 Disappearing Cavendish, 2017, Watercolor, archival inkjet print on paper and Plexiglas, 31” x 44" Cultivated bananas worldwide are in imminent danger of completely disappearing, damaged by fungal diseases. 500 million people, particularly in developing countries, depend on the fruit as a staple food. The global supply is threatened because industry growers have planted just one species, the Cavendish, across continents. The print on Plexi is a line drawing of a healthy banana and it’s inflorescence.